I didn’t know what to expect going into this one. 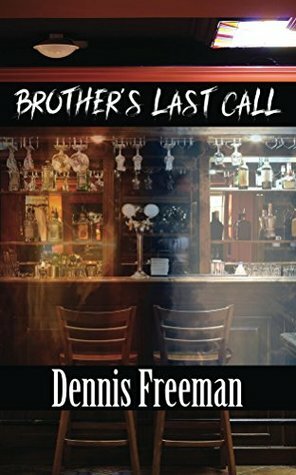 I’d never heard of Dennis Freeman before reading BROTHER’S LAST CALL. I’m all about indie horror and have been for some time now, so I gave this one a go. I wasn’t disappointed in the least. BROTHER’S LAST CALL has a nice build up to it. It’s very much a good vs evil or angel vs demon type story that ends with one helluva twist that I didn’t see coming. If you were offered a few more years to live, would you take the offer? Even if it came at a price? That is what this book is about. People have a choice to either die now or live a little bit longer. They can either take Rae or Bell’s (angel and demon) offer. BROTHER’S LAST CALL grabs from the start, and the ending pulls the rug out from under your feet, leaving your jaw agape. Even though I didn’t connect with any of the characters, BROTHER’S LAST CALL is still an enjoyable read. Dennis Freeman’s writing style is good, but there is room for improvement. BROTHER’S LAST CALL is a good way to spend thirty minutes. If you love indie horror, then you can’t go wrong with this one.